Fotofast is recommended by the New Zealand, US, UK, Indian, Chinese, Colombian, German, Italian, Philippine, Russian, Canadian and many other embassies. Need a special size or background colour we can do that. We are rated the #1 specialist for passport & visa photos in Brisbane. If you're traveling you need up to date photos for passports (photos must be no older than 6 months for most countries), visas and international drivers licenses, citizenship, police clearance etc. 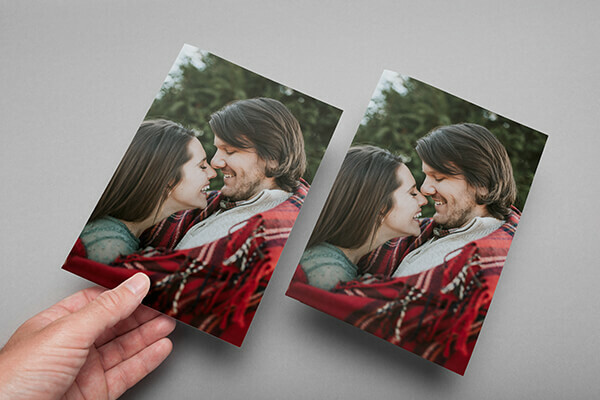 Fotofast produce perfect photos fast and professionally. Fotofast can produce passport, ID, citizenship, drivers license and visa photos (including babies) to specification for all countries including: Australia, Belgium, Bulgaria, Canada, Chinese Visa and Passport, Chile, Colombia, Congo, Croatia, Czech, Denmark, Emirates, Germany, Spain, Finland, France, Hong Kong, Hungary, Iceland, India, Ireland, Iran, Iraq,Italy, Japan, Korea, Luxembourg, Malaysia, Mexico, Morocco, USA, New Zealand- including Adult Digital for Online Renewal, Norway, Oesterreich (Austria), Poland, Romania, Pakistan, Phillipine, Russia, Saudi Arabia, Emirates, Somalia, Syria, Switzerland, Singapore, Slovenia, South Africa, Sweden, Thailand, Turkey, United KingdomAustralia, Belgium, Bulgaria, Canada, Chinese Visa and Passport, Colombia, Congo, Croatia, Czech, Denmark, Emirates, Germany, Spain, Finland, France, Hong Kong, Hungary, Iceland, India, Ireland, Iran, Iraq,Italy, Japan, Korea, Luxembourg, Malaysia, Mexico, Morocco, USA, New Zealand- including Adult Digital for Online Renewal,, Norway, Oesterreich (Austria), Peru, Poland, Romania, Pakistan, Phillipine, Russia, Saudi Arabia, Emirates, Somalia, Syria, Switzerland, Singapore, Slovenia, South Africa, Sweden, Thailand, Turkey, United Kingdom and many more... Excluding Dutch Passports. It is always a good idea to bring your passport or visa application form with you, we will photograph and size to the specifications. Fotofast will always try to have the latest changes but this is not always possible for some countries as changes can be made without warning. New Zealand, Canada, Singapore Passports alow Online Passport Renewals. We have the latest templates and experience for New Zealand, Canadian and Singapore. New Zealand has online checking to provide your digital passport photo is to New Zealand's exacting requirements. Hair needs to be tied back but there are constant changes, children may now be able to do electronic renewals, check before you come in. No appointment is required, we email your photo to you, so there is no waiting. There are many non standard requirements for business visa and I.D. photos in some countries. 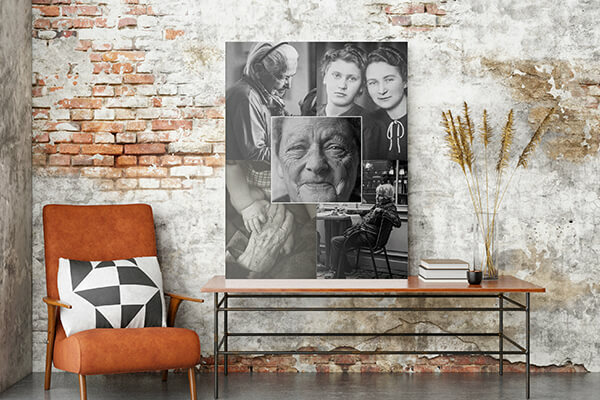 We can provide you with any coloured background or print size that you may require. Bring the requirements when you come in, no appointment is required. 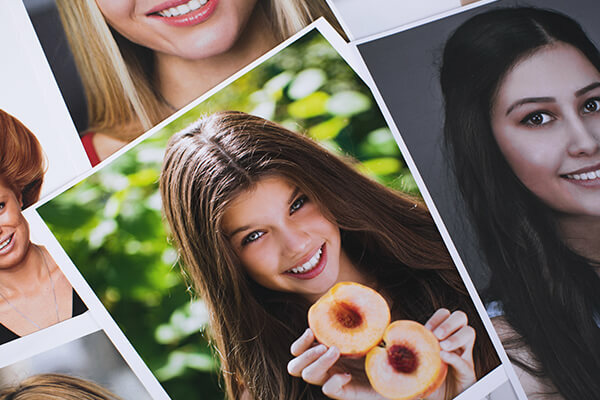 Our team know the requirements for most countries and will ensure your pictures meet the latest sizing, composition and expression (biometric) standards where possible. Because we're open 6 days a week you can have your photos taken anytime that's convenient - there's no need to book. 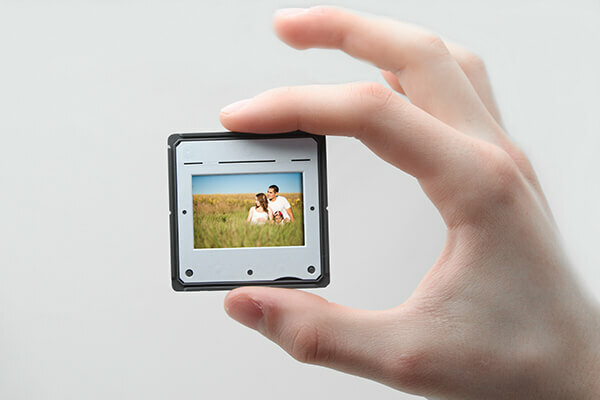 Standard size (Australian/UK/NZ/Japan etc) 45mm x 35mm passport white background (6photos) from 15 minutes US, Canada, India, Brazil & China and other non standard size photos, these have to be produced manually and are guaranteed to the correct specifications - from 30 minutes. Be aware that some new makeup & foundation may be UV rated up to 50+ this can be actually 100+, it can act like a reflector producing a very pale skin colour, we will try to adjust to compensate but this is not always possible. Fotofast is one of the few places that will take a passport photo of your baby, no matter how young (3 days old is our record). For very young babies experience shows that early mornings are always best. A dry, warm, awake and fed baby this usually makes for a happy baby and will make the experience much easier for all. We have a specially made bean bag to photograph your baby on. No appointment is necessary but allow at least 60 minutes from the time of taking the photo to collection. When can i get them done? We start taking passport photos from 9.00am Monday - Saturday, waiting time depends on work load at these opening times. No bookings are needed. For babies see above. Note: our passport photos are printed on real photo paper to produce the best skin tones and to meet the most stringent requirements. Russian Philipines Indonesia and all others with coloured backgrounds 35x45mm size. We shoot & size your passport photo to meet the specifications. Using our access to the US Visa official test site we can guarantee that the visa photo will comply to the regulations. We produce passport photos to the current country specifications, in the very rare case where an international photo is rejected we will of course redo the photo at no charge. We try to have the latest requirement check before you come in re your country's changes. 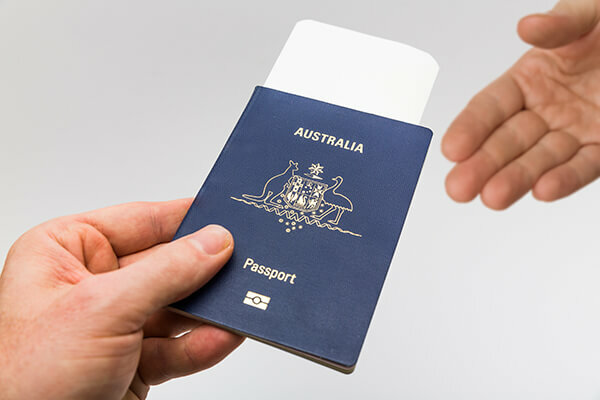 All our Australian passport photos are checked with the "official" Passport Office template checker. Even so these are occasionally rejected by some Australia Post locations, please do not have Australia Post redo our photo.